Lois of A Beaded Affair is the talent who created this incredible wire wrapped ocean jasper. I like how the center wire curves to reflect the natural curve and circular patterns on this ocean jasper cabochon. 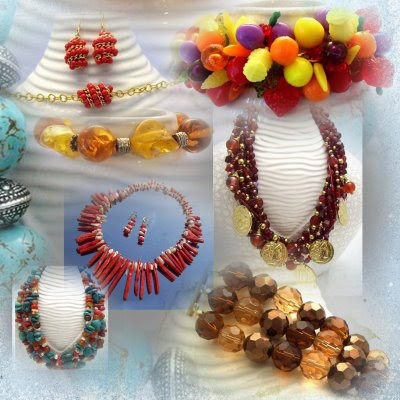 When Lois gets a free moment from running her realty office in Pennsylvania or from wire wrapping gemstones, she seeks out incredibly beautiful bead strands for listing at her "candy” store. She has fancy drilled amazonite, malachite coins, graduated garnet, sardonyx with very striking white stripes, deliciously colored Botswana agate, and so much more. Lois is currently offering free shipping when you buy 3 items or more at her online shop. Don’t forget to grab some very hard to find square copper wire so you too can give a try at wire wrapping gem cabochons. Check out Lois' A Beaded Affair Etsy store right away. You won’t be disappointed. She is an avid antique jewelry collector too. I’m so glad to be a teammate with her at the eSMArts Team. Lois will be our store manager for the new eSMArts Team Shop. She is one of the most qualified candidates, plus the fact that she has a big heart. When style and flair combine with quality and value everyone wins. That's why it's a pleasure to feature the unique jewelry creations of S & T Creations, a developing jewelry design company located in Jeffersonville, Indiana. 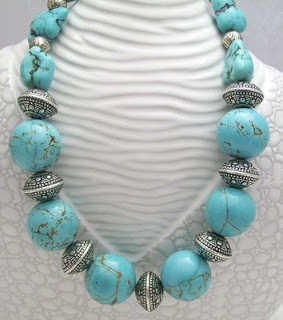 The prolific artistic team of Saundra and Teri of S & T Creations is always busy churning out a seemingly endless array of attractive yet affordable jewelry designs. Check out the complete S & T collection of colorful, whimsical and contemporary styles that will definitely get you noticed. Order online now and receive free domestic shipping or a handmade collectable bonus gift! And this design and marketing duo is now making many of their unique and fresh creations available to a wide audience through their new online boutique http://www.sandtcreations.etsy.com/. The wise value conscious fashionista takes a structured approach to formulating her unique personal fashion style and statement. And the other day I found timely help with regard to this ongoing task in the form of an informative blog feature presented by Saundra of S and T Creations. At S & T you'll find retro, classic, formal and funky so grab a few things to stretch your wardrobe. S & T Creations also has something for everyone on your holiday gift giving list. 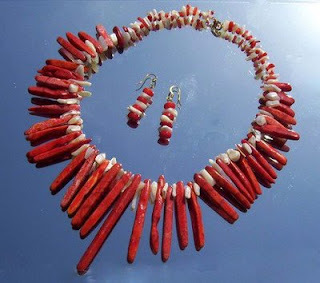 No matter what your budget or purpose, you'll find fab jewelry accessories available from this team. For more information about what's new in the world of S & T Creations, please visit their web log.